JEAN LURÇAT’s paintings and works on paper are a window on the world of Paris during the intensely creative interwar years.. He lived and worked in Villa Seurat in the 14th arrondissement of Paris in a Bauhaus style building designed by his brother André. Jean Lurçat moved in the Cubist circles of the time and purchased several works from the Kahnweiler sales. He published poetry in Les Feuilles de Mai, which he co-founded and he travelled extensively throughout Africa and the Middle East. His work was acquired by Barnes, and exhibited in New York alongside those of Matisse, Derain, and Braque. And yet, we know and celebrate Lurçat mostly through his unique tapestries, a medium to which he dedicated most of his efforts in his later years. In viewing the works in this exhibition, the themes and colors bewitch; the exotic settings and vibrant tones beckon. 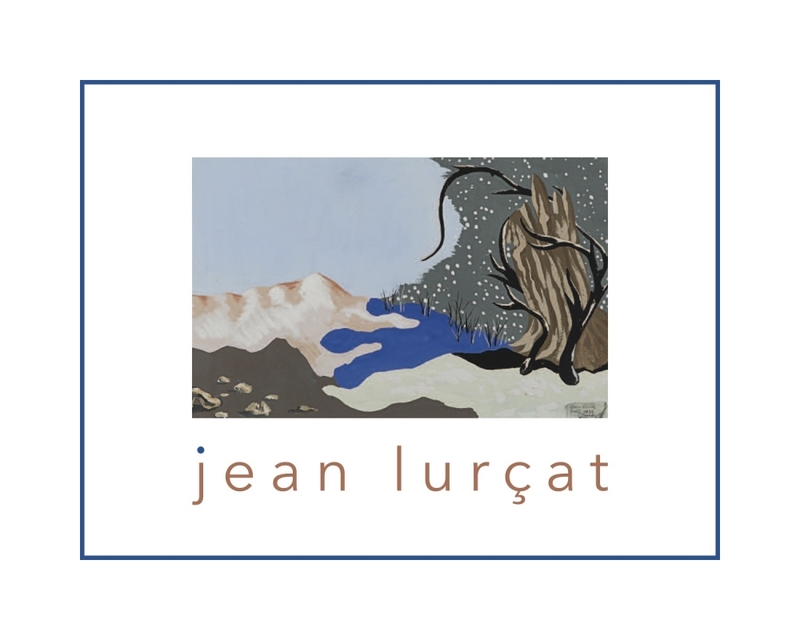 The works of Jean Lurçat are unique, the result of a free spirit surrounded by the creative forces around him and yet singularly distinct, combining elements of Surrealism, Cubism, Modernism, and Classicism.